Who can resist the sweet face of this festive cow? Send some country Christmas charm to friends and family with these cards. 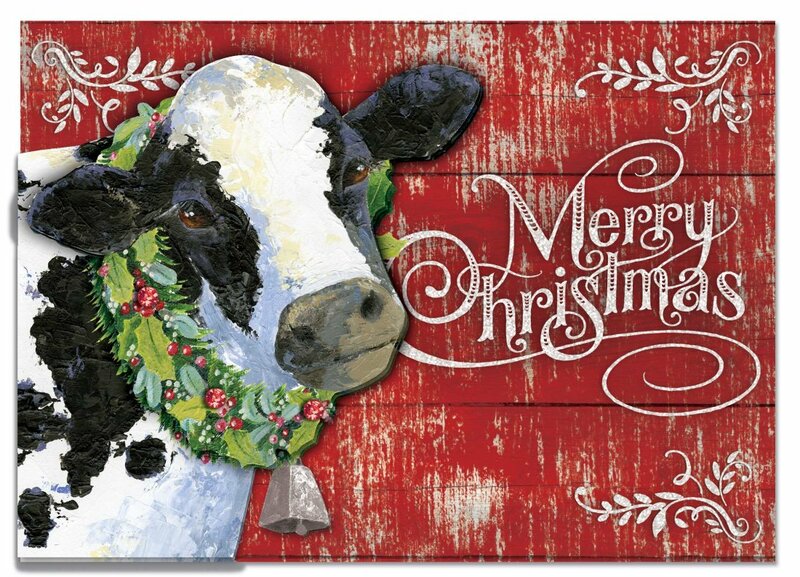 A white and black cow gazes out, and has been adorned with a wreath of holly leaves and berries. Glitter adds some glitz, and the message of "Merry Christmas" is written upon the front, with "...And a Happy New Year!" inside.